At the addition of €340 billion to the European GDP, the creation of 3,8 million jobs and the reduction of the cost of public administrations by 15-20% aims the plan for the formation of a single European Common Market for digital goods, capital, content and services. The European Commission will unveil its proposals for what it calls the single digital market at the first week of May. It seems that this strategy was “triggered” with the growing dominance of American tech firms like Google Inc. and Facebook in Europe, and their perceived encroachment on the crown jewels of European industry, such as networking infrastructure, automotive and manufacturing. These, together form 2 million enterprises and 33 million jobs. Based on data from the European Commission shows that 41% of these EU enterprises don’t make use of any digital technology. Further more, with hardware increasingly being connected to the Internet in the so-called Internet of Things, European officials believe the continent now has a great chance to shepherd its main industries into the digital age and drive Europe’s economic recovery. The aim is to restore Europe as a world leader in information and communications technology. “The message that European Union is sending today towards its entrepreneurs is: stay at home! Europe has a potential customer base of 500 million people, whereas the U.S. has 350 million. 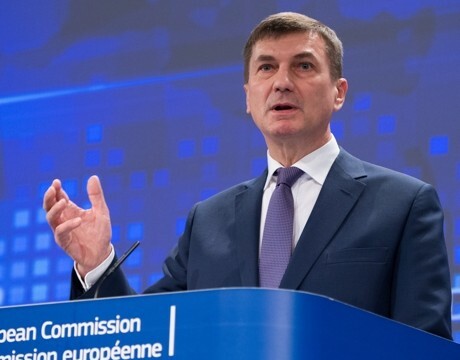 But with 28 different laws, as the number of the member-states, technology firms can’t grow in Europe”, said Andrus Ansip, the European Commission’s vice president for the Digital Single Market.